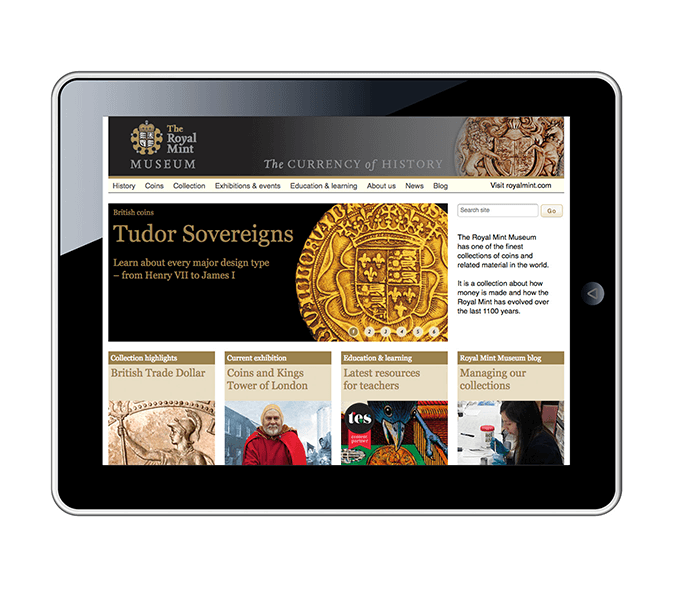 The Royal Mint Museum briefed us to develop a site which would enable their collection to be searched and viewed online. 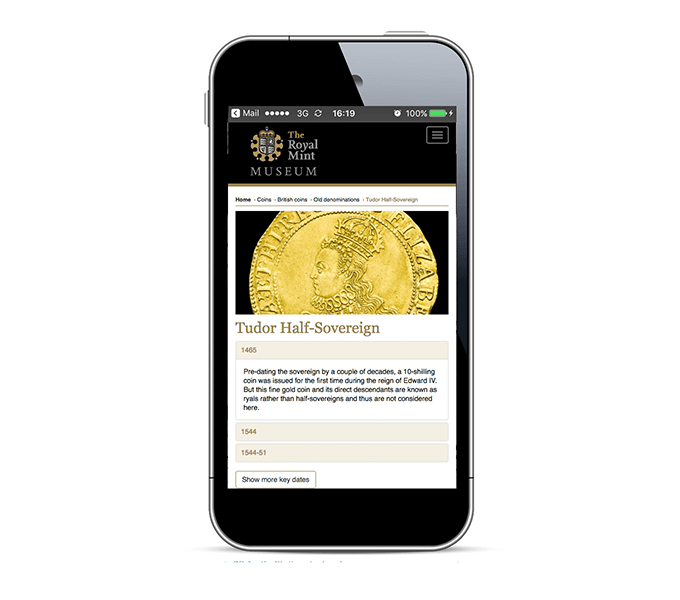 Following a lengthy period of research we developed a solution which could securely host the Museum’s material, from interactive timelines to online exhibitions and family learning pages. 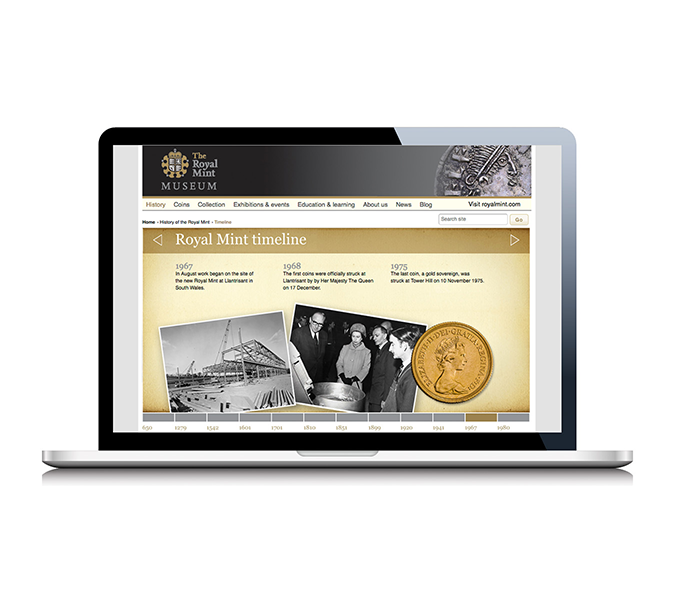 The Museum’s site had to sit alongside the Royal Mint's corporate site, with links between the two. The site is hosted and managed via Adobe Business Catalyst, we are training Museum staff to update pages and manage content and databases. 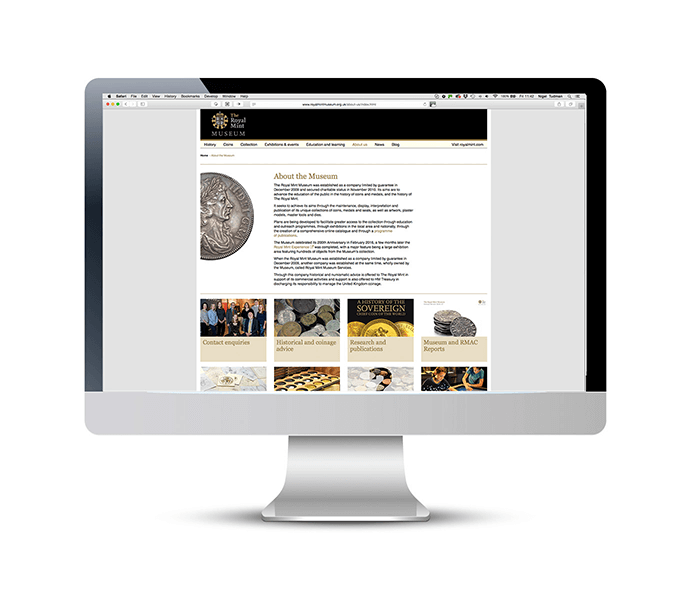 Read more about the Royal Mint Museum in our blog post Putting the Royal Mint Museum online.